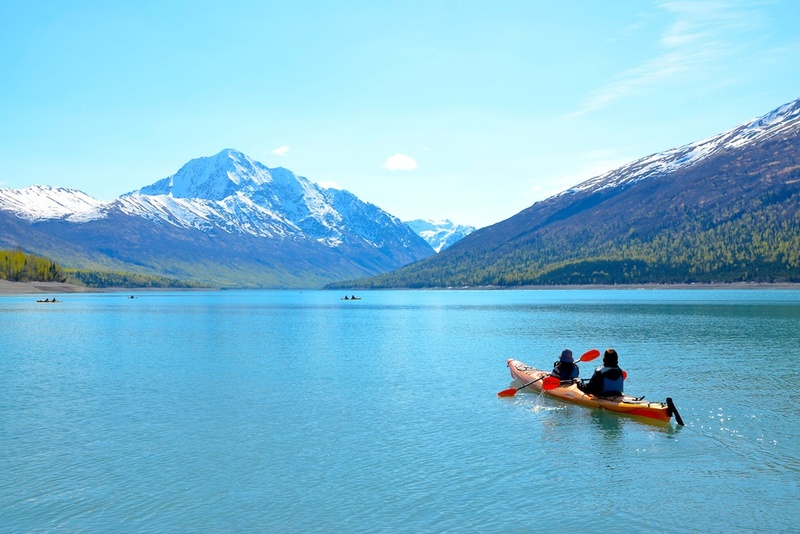 From the majestic living glaciers and steep fjords of the Kenai Peninsula, north to the lonesome gravel roads of the interior outpost of Talkeetna and skyward to 20,310’ Mt. 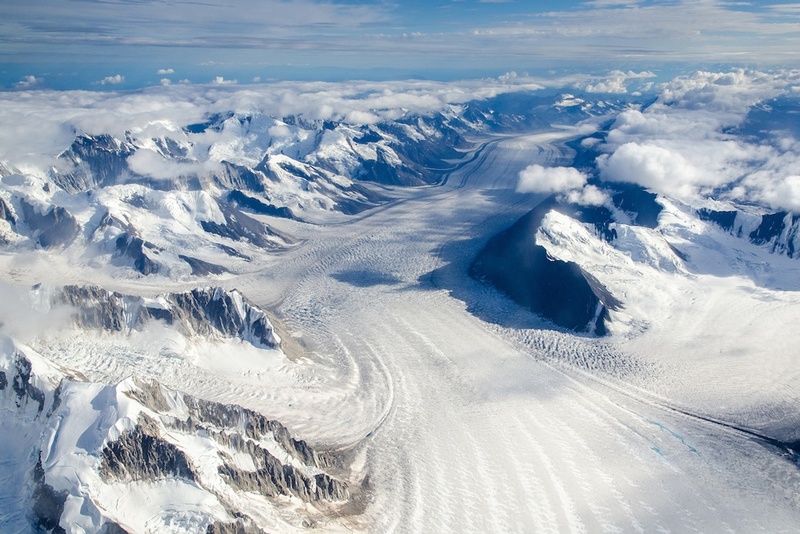 Denali, America’s last frontier is untouched and full of mystery. Here, Trip Designer Tony Ferlisi pulls back the curtain on the rugged and beautiful landscape that is Alaska. Scale acts to lend us perspective. It clarifies detail. It takes something small and magnifies it. Takes something giant and makes it tangible; brings it into our human world of understanding. Sometimes we use numbers or ideas to correlate size. Sometimes, we create physical replicas. Spin a globe in your local library or restructure a model atom in high-school chemistry class. The scale of Alaska is seemingly impossible. Rivers and their flood plains stretch laterally across valley bottoms farther than you can see from the window of an airplane. Imagine the Hudson, the Columbia, the Ohio, the Colorado, the Rio Grande all running within a few hundred miles of each other. Add those to over 9,000 other rivers and you get the idea of the number of waterways in Alaska. 3 million lakes, 100,000 glaciers, and almost 34,000 miles of coastline; more than Florida, California, Louisiana, Texas, North Carolina, Maine and Virginia… combined. Mountains tower above the landscape, piercing the clouds and consuming all horizons; the highest rising over 20,000 feet above the sea and 10 of which are higher than any peak in the lower 48 states. Overlay a map of the continental United States with a map of Alaska and its land-mass stretches from the Pacific Ocean to the Atlantic. But none of these perspectives do justice to those who haven’t laid eyes upon this place. Recall the feeling of standing at the foot of the Empire State Building for the first time and looking up or sailing on a boat just out of sight of land. Imagine what it might be like to be awash in the emotional waves of experiences like these for days in a row, each one new and each different than the other. That is Alaska, even for those who return time and time again. After John Muir first visited Alaska in 1879, he recorded in his journal that one should “never go to Alaska as a young man because you’ll never be satisfied with any other place as long as you live…” There is truth to this thought. You’ll dream about this place: the possibilities and the impossibilities. Movies against the backs of your eyelids as you lie awake at night, teetering just beyond sleep. Wind playing tag through dense alder thickets. Afternoon sunshine casting shadows against the jagged, snow-covered towers of the Chugach. Two bald eagles perched in a snag high above a shallow creek teaming with spawning salmon. Waiting. Watching. Your nostrils twinge with the scent of a Sitka spruce stand. Fingers feel the chill of the morning dew. Ears deafened with the silence. You contemplate the size of this landscape. You meditate on its scale. You’ll wonder when, not if, you’ll journey back to the north. Back to the great big, giant mystery that is… Alaska.